Defender of the Fatherland Day is an unusual state holiday and it is a day off in Russian calendar. For long time this holiday was called "The Day of the Red Army and Navy", and now this is the day when all men (fathers, husbands, sons, friends and colleagues) are congratulated in Russia. The holiday appeared on January 27 in 1922, when the document (resolution of the Presidium of the Central Executive Committee of the RSFSR) was published with the exact date of the day of the Red Army - February 23, 1918. 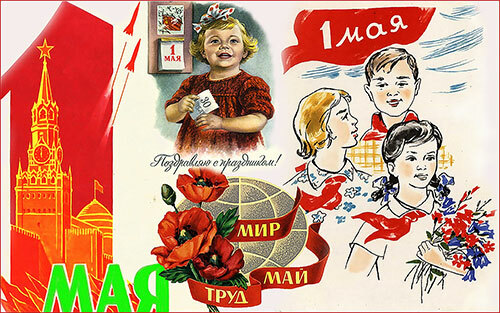 But the state holiday appeared only after 4 years and in the beginning was called the Day of the Red Army and Navy. To join the Red Army could everyone who wanted to protect their country. That's why that period congratulations received mostly military people. Later, since 1946, the holiday changed its name to "Day of the Soviet Army and Navy." This day congratulations also received the military. And gender differences were not important, since after the Second World War, in each family there were soldiers both men and women. In 1995, the holiday changed its name again and was known as "Defender of the Fatherland Day". But people still congratulated soldiers, men and women of military professions. On this day, traditionally Russians congratulate men and women of military professions. Also congratulations are accepted by boys, young men and men (even if they didn't were in the army), because this day is an unofficial "day of men". Now in Russia on February 23 women congratulate their fathers, husbands, sons and friends, give them symbolic gifts and postcards. 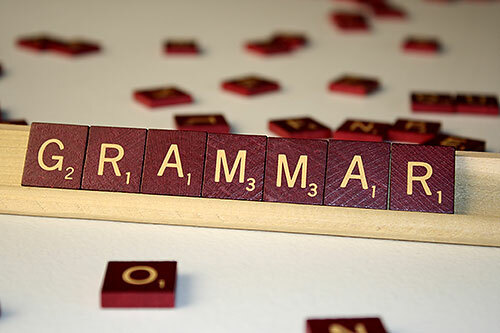 Before the holiday, on a working day, congratulate the men colleagues and also they can make a small party. 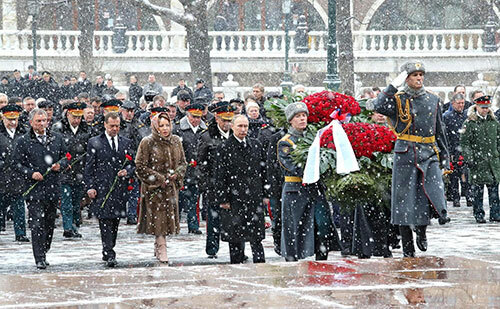 In the morning in Moscow, the Russian president puts a wreath at the Tomb of the Unknown Soldier in the Alexander Garden (near the Red Square), then a minute of silence commemorates the dead soldiers and the anthem of the Russian Federation. P.S. In Russian calendar, of course, there are such holidays as Father's Day (the third Sunday in June) and the Day of the Son (November 22). But these holidays are not popular, not known.